Disorders related to the autistic spectrum are associated with changes in the physical, emotional, and chemical state of the patient. 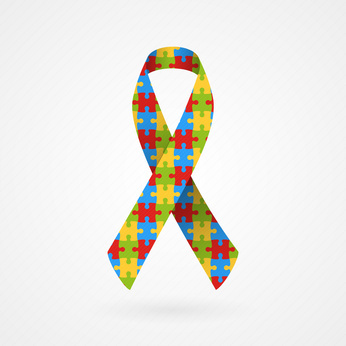 Autistic spectrum disorders in children and adults may have multiple causes. In this post I would like to address several questions about autistic spectrum disorders. Are autistic spectrum disorders a chiropractic condition? How can chiropractic help autistic spectrum disorders ? Often chiropractic care is seen as a conservative treatment for musclo-skeletal or neurological conditions. As we will see that is part of the reason the chiropractic may help with spectrum disorders. First do you know the symptoms of spectrum disorders? Children that are on the spectrum are experiencing neural-behavioral disorder. Some of the commone diagnoses include ADD, ADHD, autism, Tourettes syndrome, OCD, ODD, pervasive developmental delay, or any sub-class of developmental delay which can be modifying the emotional, motor or behavioral development. Parents often describe the typically signs of this group of children as incapable of concentrating, hyperactive, poor sleeping patterns, inability to attend and pay attention at school or at home. The parents often have to repeat phrases or commands like always says huh. The parents may report that the child has trouble with fine motor skills like handwriting, cutting with scissors or even buttoning buttons. This is often due to apraxia, or dispraxia. Many times these children will use both hand for many tasks and may be referred to as ambidextrous. So the parents might struggle to determine whether a child id left or right handed. They might comment that there child writes using their left-hand and eats with their right hand. These children will sometimes have tremors, they will often find it difficult to tie their shoes, or do fine manipulative things making use of their hands. Parents also often report that the child has difficulty with gross motor skills and may fall allot or have trouble throwing or catching. The patients who respond best to chiropractic care are between the ages 6 to 16 but children and adults can usually be treated at ages young and old. The earlier chiropractors starts the greater the number of developmental windows that may be opened for the child. One of the most important concepts when addressing Autistic Spectrum Disorders in kids is to realize they are also behavioral disorders. Due to different symptoms and the severity of the symptoms the child can lead to very different differential diagnoses. To help complicate the problem, an autistic child who displays ADHD behaviors, could also exhibit OCD behaviors, Tourette’s or Asperger’s behaviors simultaneously. That’s the reason these conditions are called spectrum disorders, they are co-morbid and overlapping syndromes. No mater if it’s Attention Deficient Disorder (ADD ), Add and Hyperactivity Disorder (ADHD,) Excessive Compulsive Disorder (OCD), Pervasive Development Delay (PDD), Tourette’s Syndrome, or autism, each are caused by an imbalance in the the neurological and sensory systems. This imbalance make it impossible for the child to block certain sensory inputs and as a result a disconnect is created. The ability of the brain to process certain sensory input becomes impaired. That is where chiropractic comes in when chiropractors adjust the spine they are directly affecting the nervous system, in most case the brain can be retrained to process sensory input in a different or improved way, this is the same basic premise behind brain gym but chiropractors have been doing this for decades. A chiropractic neurologist Dr. Robert J. Melillo, has spent the last half of a 17 year carer studying and treating these imbalances. Dr. Melillo is international known and renown. He has determined that some of the cause may be due to an absence of stimulation as well as skeleto-muscular imbalance in the body. The imbalances resulted in brain emphasizing and using the more active side while ignoring the under-stimulated hemisphere of the brain. It is important to treat the central nervous system by addressing imbalances in the spine. At the same time the sensory systems must also be addressed Sensory processing disorders are often caused by the sensory systems that were paused at some point in development (start to see the article on sensory processing disorders) or developmental delays. These delays must be addressed and improved to the best of the child’s ability to maximize the child’s potential. The art and science of Chiropractic Neurology is the diagnostic examination, where chiropractors use current concepts in neurology, neurophysiology and neuroscience to first perform very detailed history concerning the emotional and cognitive abilities of the patient. The history provides clues about which areas of their brain are functioning well, and which areas under or over performing. Most youngsters treated for behavioral problems are very intelligent. The truth is, the majority are very smart and have many gifts that allow them to adapt and function well in society. It is the goal of chiropractic to support these gifts while treating any perceived deficits that cause the child difficulties. Common symptoms include the inability to focus, hyperactivity, inattentiveness, or extremely poor organization skills, among numerous other symptoms. It is very important start early to enhance the child’s quality of life at the earliest opportunity.